Crocodile Tears! | My Short Takes! Home » A Story To Tell! » Crocodile Tears! Why do crocodiles cry after eating their food? It has been some time since I have posted here – maybe this can explain! Crocodile tears (or superficial sympathy) are a false or insincere display of emotions such as a hypocrite crying fake tears of grief. The expression comes from an ancient anecdote that crocodiles weep in order to lure their prey, or that they cry for the victims they are eating! One of the most famous children stories in East Africa in the Swahili language is titled Crocodile Tears! I forgot the name of the crocodile – but it happens in the Rufiji river in the south of the country of Tanzania – famous of the biggest crocodiles that you ever saw in your life! I think there are crocodiles and alligators of various kinds all over the world – but the African one is surely the biggest – and most vile and fearsome too! In that small island that we grew up as kids called Mafia – aka as Chole – we did not have crocodiles as far as I know – though there were some small alligators and some big lizards too – and of the course the big pythons too that could stretch to even 12 feet and more. One of the most morbid lucid morbid cases I ever saw in my life and I will never forget is to see one of the missing local babies devoured in whole by this python – as the local women had a habit of leaving their babies on a mat whilst they farmed nearby. Perhaps you are guessing and thinking loudly that I am going to give you a folk story column today just on crocodiles etc – rest assured that it will not be so – and those who know me well will vouch for me that I usually bring in these examples just to make a point. The idea of this topic got on to me after this incident a few days back with desolation and depression possibly setting in – and eating my dinner with the greatest of sadness and unhappiness. The good wife was seen to mutter – what gives?– And with a tear or two leaving the face! Perhaps also too many beatings and bad news lately hitting me! I was intrigued last week to find a peer columnist writing about ‘the stroke that broke the camel’s back’ – and I thought to myself that there must be a message somewhere out there – but I could not find any – tongue in cheek speaking! Now coming to ‘crocodile tears’ the folk story really intrigued me. The elder storyteller was telling the children seated near him why the crocodile cried – and usually after having eaten up its prey. 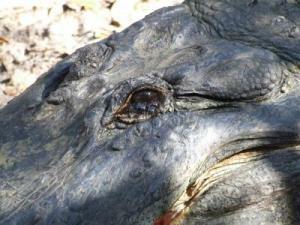 It was also said that the crocodile started shedding tears even as it moved to entrap its prey! 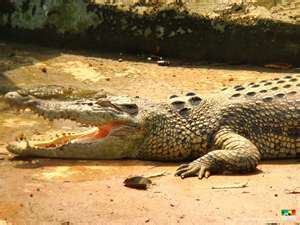 So the story goes on – the crocodile narrates to itself loudly about how the struggling animal tries to get out of its entrapment – its futile struggles and fights – but the crocodile has always a stump ace card – it drags its victims to the under currents or bottom of the river in drowning it – before it devours it! As the crocodile eats its prey, it recalls its prey struggles and fights for its life – and is crying profusely as it devours its victim! Crocodile tears (or superficial sympathy) are a false or insincere display of emotions such as a hypocrite crying fake tears of grief . In some countries of the world, you can actually hire usually old women to cry the loudest in funerals – and they do it for the money only – simply and smugly put! – Each drop she falls would prove a crocodile. – Out of my sight! In real life, we meet so many of these characters who behind the scene have been largely instrumental in their devious and evil plans in planning, carrying out and executing your downfall and demise – but in front of you will pretend to be sincere, caring and feeling friends – concerned and caring about you – and ‘crocodile tearing’ you in the process. That is the depth of human deceit, betrayals and let-down – the decadence, malaise and the decay that go with it too! All they do is fool themselves only at the most – because our Creator sees through them – and remembering the adage – what goes around; comes around! It is just a matter of time – and if not you then someone very close to you! 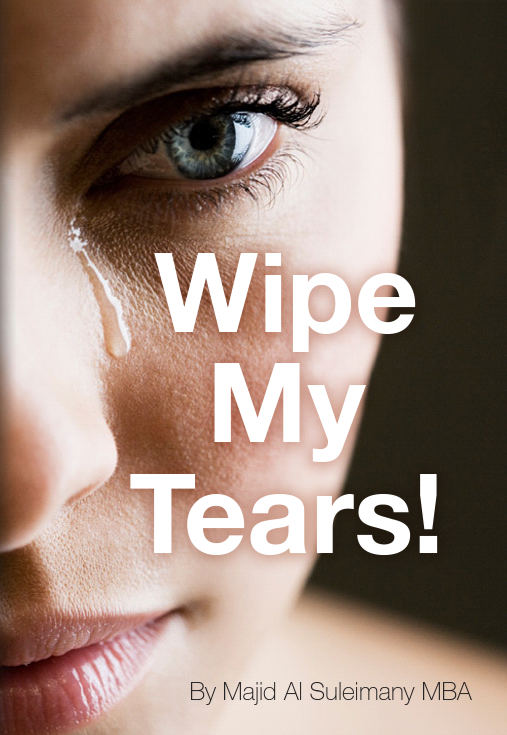 Next time you see someone crying and looking at you – perhaps he or she is guilty conscience? But then some may say being cynical and skeptical are my weak traits too! 🙂 !